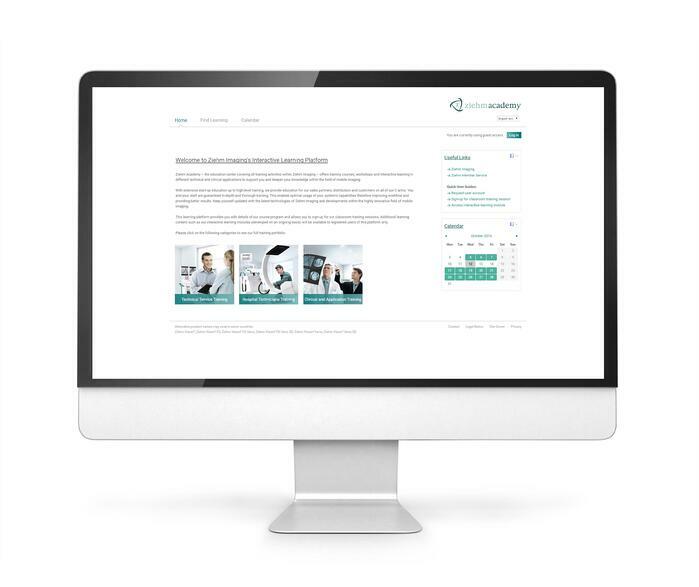 When the Australian distributors of Ziehm Imaging x-ray machines come to Germany for introductory training, they want to get hands-on experience rather than having to start with the theory – this problem was solved with eLearning and a cooperation with LearnChamp. Additionally, completely new opportunities opened up for the traditional medium-sized company. An interview with Johannes Beier, responsible for Customer Training & Education at Ziehm Academy, part of Ziehm Imaging GmbH. Let me start with a question for better understanding: Why do distributors from all over the globe come to the Ziehm Imaging headquarters in Germany for several weeks each year? Johannes Beier: We specialise in mobile x-ray machines and in this segment we are market leader in the German-speaking area. Internationally we compete with large companies like Siemens, Philipps or General Electric – but they are less specialised than we are. This means technologically we are always one step ahead. Distributors have to understand the machines to explain them to the customers and sell them. In remote regions they might even have to do small repair works or maintenance. How to handle technology and the theory behind it, that’s what they were learning at our headquarters – at least until recently. And now all the trainings are done via eLearning? Beier (laughs): No, the on-site training continues but we have started to make individual theoretical modules available online for course participants. We have made it compulsory to complete these modules before taking part in the on-site trainings. This leaves more time for practical exercises and questions. Was eLearning something the distributors demanded or was this an idea that came from Ziehm Imaging? Beier: To be honest it has to be said that Ziehm Imaging is technologically very advanced in its specialised field. But for a long time we did not use instruments like eLearning at all. When faced with the problem that participants in the on-site trainings complained about a lack of time for practical exercises we needed an alternative. Two years ago, I was hired to find an eLearning solution for the problem. And the distributors have accepted the switch from on-site training only to mandatory online modules? Beier: Initially we were surprised how well it works. The distributors are very grateful for the learning modules they can prepare at home. Speaking of learning modules: Especially in your field you can't just buy off-the-shelf-trainings but you have to compile them yourself – how did you go about looking for the right system to manage these trainings? Beier: There had been contact with LearnChamp from the beginning and the company recommended the open source Learning-Management-System (LMS) “Totara”. Of course we also looked at other systems, especially because – like I said before – we were completely new to this field and did not know LearnChamp. But in the end we went with Totara. It was important for us that the LMS has two independent views: One for the theory modules for the distributors and another one for internal trainings. Additionally, Totara LMS can handle the management of the Face-to-Face trainings for the courses. Hardly any tool supports all this by default. For the LMS various adjustments were necessary – are people at Ziehm Imaging doing these themselves now? Beier: In the LMS, LearnChamp has done a lot of add-ons and development for us and they continue to do so because we neither have the technical know how nor the staff to do it ourselves. In regards to the eLearning courses, LearnChamp has also developed the content together with us to begin with. But for several months now we are doing this ourselves and we have created an additional position for it. This way we are more independent and are saving money. One of the problems in our field was to get input from the few experts on time and to coordinate that with an external provider. For the internal trainings, which are only just starting, we have bought over 100 courses on rhetoric skills, computer programmes and compliance topics and we are developing content ourselves. Were you looking for an open source solution? Beier: No, that just happened. But it has a lot of advantages. For one, the source code is open to anyone and everyone with SQL skills can learn to work with it. And it was also important for us to have a system that is independent of a single provider in case the company we bought it from is going off the market. Beier: This is more or less correct. We had long talks with the distributors on the advantages of eLearning modules and all of them have gratefully accepted them. Internally we still have some convincing to do because this is a completely new approach. And you have to understand that some of our employees, e.g. in the production, do not even have their own PC at their workplace. So we offered new infrastructure. In some departments we still have to convince people that learning is not a necessary evil disturbing the workflow. Are there plans to widen the eLearning offerings in the future? Beier: Yes, we are in the middle of doing just that. Both in the trainings for our distributors – where we want to add video tutorials – as well as in the internal trainings. Our independent daughter company in the US is also thinking about adopting the system. Regarding the in-house eLearning trainings in Germany we have only just started – but the staff has already been extended to four. We are currently thinking about modularisation to offer smaller learning units. There will also be (video) tutorials. Over the long run the LMS could be used for HR topics and competence management. And maybe also as a marketing instrument for potential new customers. I’m sure there are many more possibilities.